Home > 2018 > Event > SUPER DARTS > Predict the SUPER DARTS 2018 champion and win the special DARTSLIVE THEME! SUPER DARTS 2018 takes place at Mynavi Akasaka BLITZ on Thu Mar 15 and Fri Mar 16, 2018. This year, the winners of the biggest tournaments around the world will compete in this event for their honor and glory. 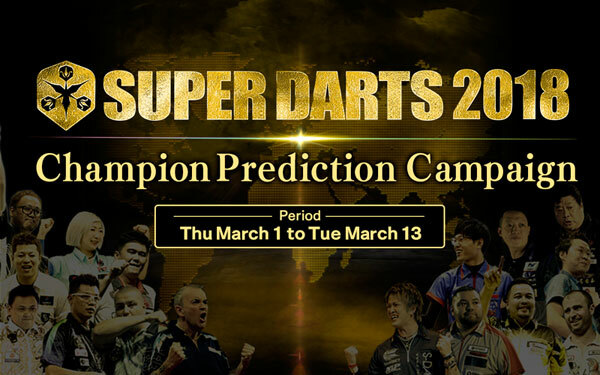 To mark this event, Champion Prediction Campaign for SUPER DARTS 2018 will start from Thu Mar 1! 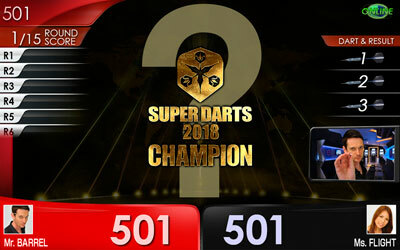 A special DARTSLIVE THEME of SUPER DARTS 2018's Champion (Picture THEME) will be awarded to those who correctly predicted! 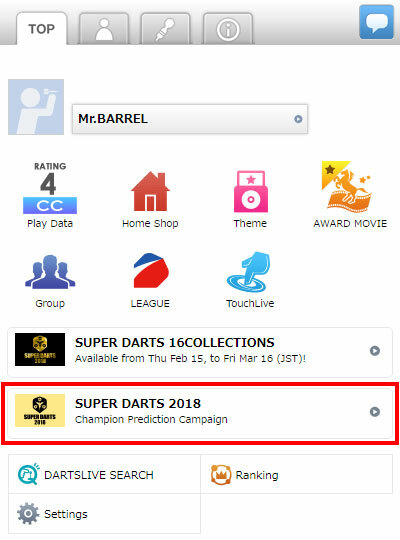 Visit SUPER DARTS 2018 official website for the players and the tournament bracket. Go to the campaign web page for SUPER DARTS 2018 champion prediction and cast your vote. *The THEME is planned to be awarded in late March. DARTSLIVE Card with SUPER DARTS Champion's autograph. 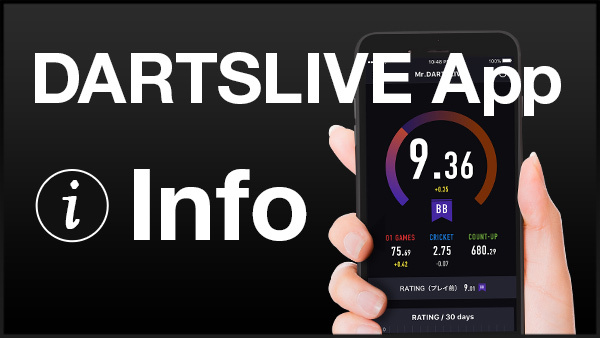 *The DARTSLIVE Card is planned to be sent out in mid-April. 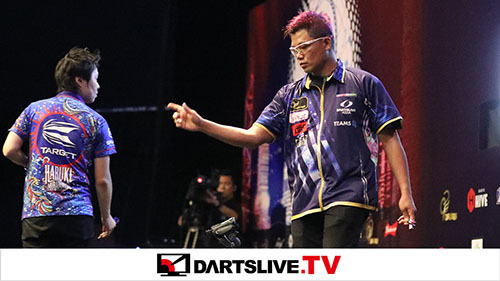 Watch the showdown matches LIVE on the SUPER DARTS 2018 official website from 5 pm on Thu, Mar 15 and Fri Mar 16, JST! ･No changes can be made after you vote. 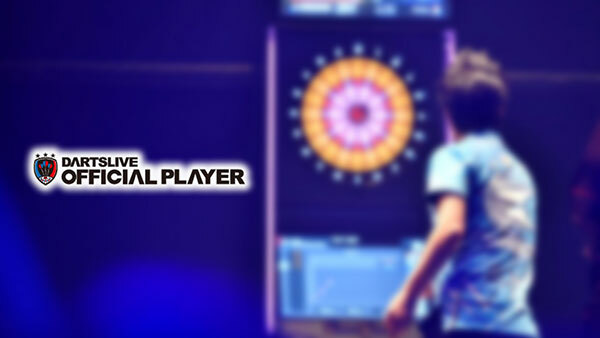 ･The THEME is planned to be awarded in late March and the original DARTSLIVE Card is planned to be sent out in mid-April. ･“Notice” sign will appear on the card page of the winners.